To understand the situation a little better, fire up Google and punch in “American Airlines.” Google’s AdWords program serves up sponsored results along with the organic search-engine results. Online advertising accounts for as much as 99% of Big G’s revenues — it’s clearly a big part of the Google model. Your mileage may vary, but when I searched this morning for “American Airlines” (in quotes, but it works just as well without them), I saw several third-party ads. The most prominent ad, at the top of the page, is for AMR’s own AA.com website. However, the column on the right features rival airlines and portals that promise discounted airfares. Is this right? Is this wrong? The only thing for sure is that a lot of money is weighing on the answer. What will make this one really juicy for the lawyers is that, with most searches on the web being case-insensitive (as far as I can tell–if someone knows differently, please feel free to comment), the trademarked term ‘American Airlines’ and the perfectly reasonable search for ‘american airlines,’ aka airlines offering service in america, are one and the same in a search engine’s mind. Obviously, the larger issue is whether or not things like ‘Disneyland’ can be bought as a search term when trademarked by a company, but it’s a little more interesting in the case of American, whose decades-old choice of a name designed to build brand recognition might actually confound an already complicated issue even more. It is easy to see that Google could lose a lot of money if it caves in on these cases. 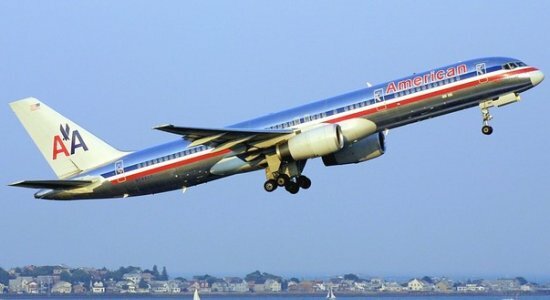 If no one else is allowed to bid on “American Airlines” and other AMR trademarks, AMR has no reason to bid on it, either. It is the top organic search-engine result. Of course, on a more personal level, I will be interested to see how this case is resolved, and what effect, if any, it will have on the blogosphere, many of whom rely heavily on Google AdSenseâ„¢ for their blog’s revenue stream. Enjoy the hypocritical eye candy. Unfortunately, the mistake that Beckerman makes here is conflating the traditionally-motivated postings of America’s political Left vs. Right, which either mock the weak-willed ‘Frogs’ for capitulating to a bunch of ‘punk kids,’ or praise France’s progress away from exploiting its youth, with the article I posted recently. In this way, I believe Beckerman falls victim to the same fallacy the article claims to illustrate: that of misinterpreting a specific point by forcing it into a pre-determined Weltanschauung which alters its meaning. Despite Beckerman’s implicit claim to the contrary, I do not believe that the failure of the CPE was a victory for French citizens under 26, who still must suffer from France’s over-governed, declining economy and a 22% youth unemployment rate. Thus, I take issue with Beckerman’s claim that I have a ‘positive’ take on the situation. I do, however, believe that any law which unfairly targets a certain socio-economic group is no solution to a problem which spans all socio-economic groups. In other words, if you think France’s problem is an overzealous government hell-bent on protecting the ‘rights’ of its citizens against evil capitalist business owners, and that some of the laws enacted to ‘protect’ workers have backfired and are now preventing qualified workers from getting jobs, logic would dictate you would want to roll back some of the laws protecting incompetent new employees–i.e. something to weed them out once it becomes obvious they can’t do what they were hired to do. My question remains: Where does that logic begin to include specifically targeting youth? If I am 35 years old, and wish to change careers from a sanitation engineer to a nuclear engineer, should I be protected against my own incompetence in my new position any more so than a recent graduate whose paper credentials say he can do the job, but whose performance evaluation clearly indicates differently? So, if Beckerman is alleging that my post illustrates an example of a ‘cheap point’ for (I’m assuming) the Left, perhaps the author should examine whether that argument exists only when one pre-supposes that a demand for a cessation of stereotyping and discrimination against the young is in some way an endorsement of stricter, ‘pro-employee’ labor policies. And that pre-supposition, I would argue, is one distinctly rooted in the culture of our nation, where anyone expressing sympathy for the young is assumed to be a naive ‘Liberal,’ an extremist with little real political clout. In France, where socialism is the norm, rather than the extreme, highly restrictive labor laws are a reality and probably will be the future, for better or for worse. Politically, then, it becomes expedient for leaders to shift the blame (to the youth), while maintaining the cushy job security that every voter over 26 has and wants to keep. What disappoints me about Chirac’s and his party’s decision to try and solve a system-wide problem by targeting a specific group, however, is that it seems to me that, while general political attitudes in France and America are worlds apart, people in both nations share the same willingness to blame youth for the problems of their parents, and to try and ‘solve’ the problems by punishing the young who, in a time when most other forms of discrimination have been outlawed in Western nations, have become the outcast class upon whom the failures of a previous generation are heaped. So this past week I had both of my cars in the shop for various necessary and unnecessary work, meaning I was left in the unenviable position of having to rent a car for a day. Since the place I work has a deal with Enterprise (and they have a branch across from the car repair place), I went there for my rental. For $26 a day, they put me in a 2005 Kia Rio sedan, the Korean manufacturer’s lowest-priced, smallest offering. Now, as if the $11,800 price tag combined with a 10 year warranty isn’t enough to make the car seem like an incredible deal, I was finally getting a chance to test drive one without being subject to the idiotic machinations of your typical moronic car salesman. Here’s what I noticed first: the car weighs around 2,300 lbs., and you can tell. Press down on the accelerator, and you’re doing 50 before you know it. It also turns on a dime–I was able to make 360s to turn around in driveways that require a 3-point turn in any other car. It’s not the quietest out on the highway, as I think the small, lightweight body isn’t quite strong enough to dampen road and engine noise entirely. It’s not all that loud (quieter than my 2003 Toyota Tacoma) though, all things considered, and certainly not loud enough to be an issue. According to a friend that runs one of the more popular Kia tuning sites on the Web, Kia also offers an aftermarket turbocharger kit for the Rio that boosts the top horsepower from around 100 HP to well over 200 HP at the wheels. Since the kit is Kia-approved and installed by professionals at the dealership, it doesn’t even void the manufacturer’s warranty (although it makes you that much more likely to break the car). Judging by the way the Rio performs even with the stock engine, this car would be an absolute demon with the turbo kit installed. The suspension is nice and tight, leaving the car hugging the road without forcing the passengers to feel every small bump in their posteriors. Kia-FX Performance offers upgraded suspensions as well, along with carbon drive shafts and other parts that might be advisable for anyone upgrading with the turbocharger. All in all, this was a seriously fun car to drive, and one that I’m definitely considering for my next new vehicle purchase. Kias have really come quite a ways in the past few years, going from something of a joke in the automotive industry to a serious competitor to both Japanese and American manufacturers, and 2005 Rio seems to be no exception.